Lockers at this site operate on a £1 coin return system. The Trinity Sports Centre is located on the grounds of the Trinity C of E High School, a short walk from Oxford Road at the junction of Higher Cambridge Street and Coupland Street. Its central location makes it easily accessible from anywhere in Manchester. As this gym shares it's facilities with a school it doesn't open to the public until 5pm. 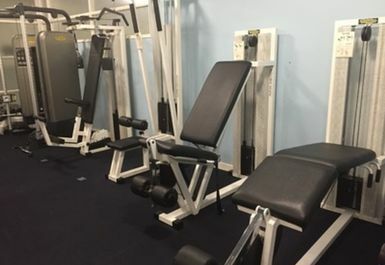 The sports centre provides free parking for gym users, situated off Boundary Lane. 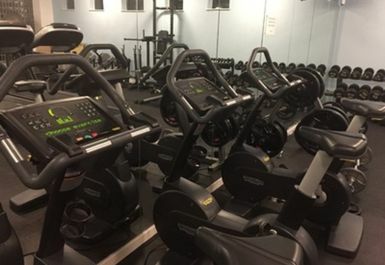 The gym is contained within one area and is fully air conditioned. 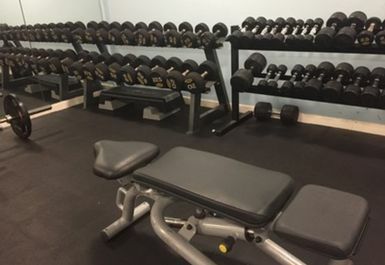 One corner is dedicated to a range of free weights and there is a collection of cardio and some resistance stations arranged throughout the rest of the room. 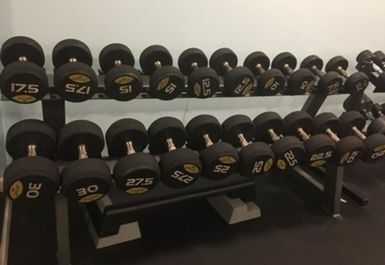 A range of classes are available throughout the week (classes incur an extra charge as they are not included in your Pass), please enquire with the gym reception staff for timetable details. A great value site for a focussed workout session. 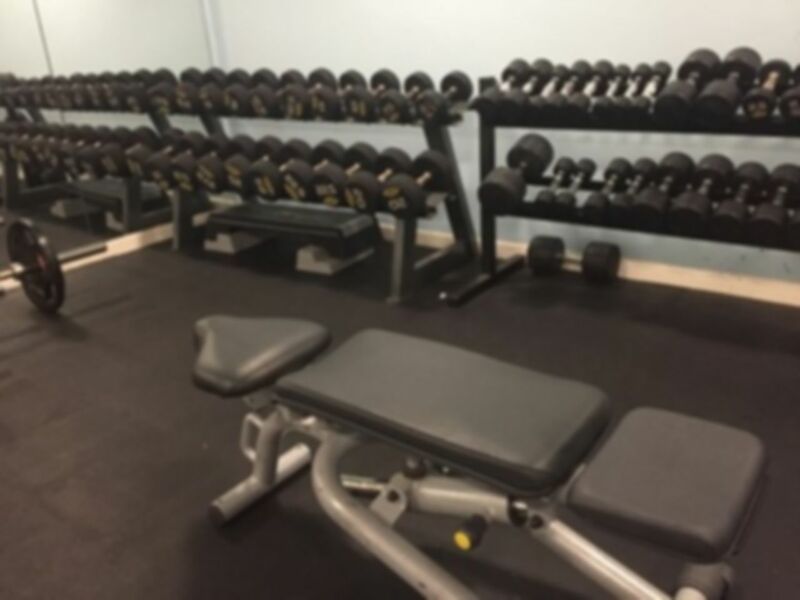 Trinity Sports Centre also offers an excellent range of sporting facilities including a floodlit artificial pitch, 2 sports halls and a dance studio. For more information on these please contact sports centre staff directly on 0161 278 1011. Staff friendly and helpful. The gym is quite small. 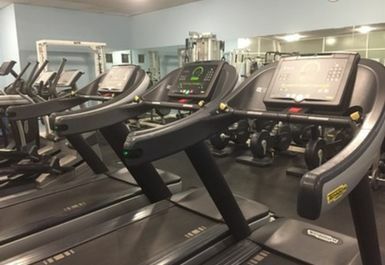 It has a limited number of cardio machines, some resistance equipment and free weights. As it wasn't too busy there was no problem with being able to use any of the equipment. Hi Rachel, thanks very much for taking the time to leave feedback. We really appreciate the effort as other users of our platform find it useful. We're glad you had a good time at the gym and we hope you continue to enjoy using PayAsUGym in the future! Very small gym, consists of 1 room, but it was really quiet, so easy to use any of the equipment, the staff were great. I will definitely use it again later this week. Very limited range of equipment. 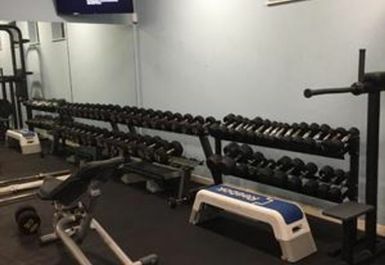 Just a one room gym in a school. Staff friendly enough and affordable. Not the nicest environment. Quiet on a thurs evening but good job as it would be unbearably claustrophobic and packed with just an average number of people! 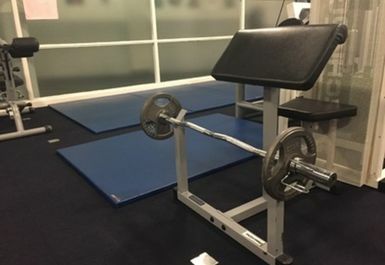 Nice quiet gym - equipment is slightly outdated but there's a good range. Located inside a college/school! 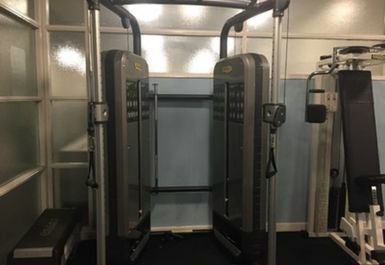 Fairly difficult to find, good equipment, few free weights. Not much cardio facilities.